First, when people frame their search problems, they often begin with a conception of the search intent in some language. They think to themselves, "ahh... what's the polluted lake near Butte?" The deeper issue here is that we need to teach our searchers that the first formulation of the problem might not be the best. 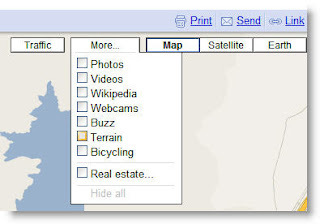 Keep in mind that you want to search for terms and language that OTHER people will use in their writings. 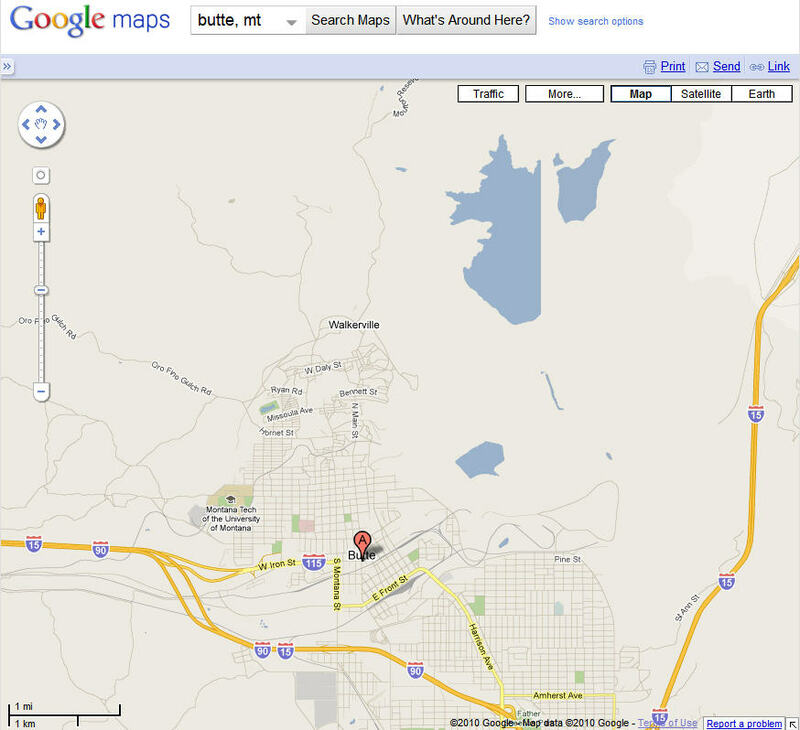 The phrase "body of water near Butte" probably isn't something that any normal person would write. So here's how I solved this problem. I used Maps, then turned on the Terrain layer to see what kind of bodies of water are near Butte. 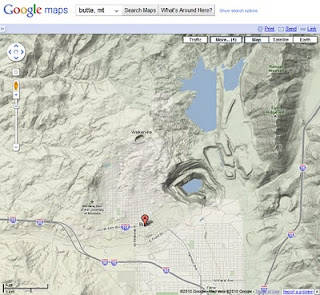 When you see the image, it's pretty clear that there's a giant pit mine almost in the town itself. The characteristic steep-sided drop around a lake indicates (almost always) a mine. And then I turned on the PHOTOS layer (also under More...) because I figured there would be more than a few photos taken by folks, most of which would accurately label what it was they're looking at. I was right. 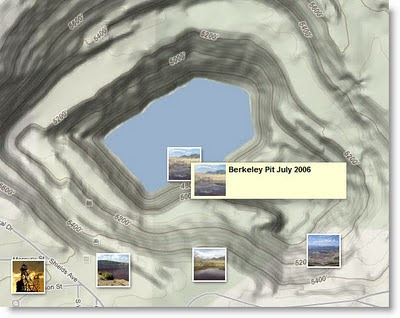 Rolling over the image in the middle of the lake shows the name to be the "Berkeley Pit"
(photo taken in July 2006). Once you know the name, it's pretty easy to answer the rest of the questions. There's even a very nice NASA photo that labels all of the surrounding water features as well -- a great examDple of growing outward from your original search to discover contextual information that will help you understand all of what's going on here. The commenters on this search challenge all have great solutions. Nice job! 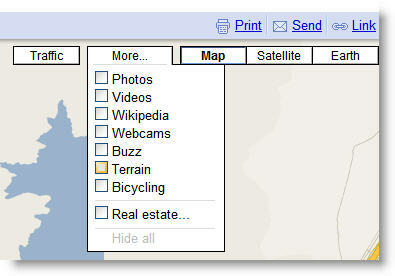 But I have to share Fred Delventhal's solution here, which he documented using Google Search Story maker. This is easily the best answer to a search challenge I've seen yet. Nice job, Fred! It's been a couple of weeks since I posted anything--it's been busy. Burning Man was a hoot (and I came back with a notebook full of questions that I'll write about later), and then it's been non-stop writing papers for upcoming conferences, giving talks, running my research... generally having way too much fun. Prediction: October will be a better month for updating the blog! But I want to go into October with an interesting search challenge. 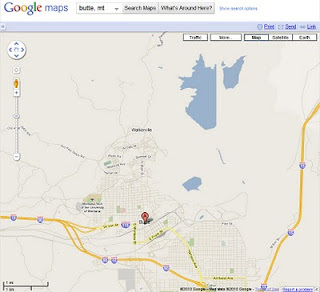 I just returned from New York where I gave a talk at the Ithaka 2010 conference on the "Future of Search." I made a bunch of points that will be familiar to readers (a bit about new modes and ways to create queries, how much people know about searching, a call to action around teaching search literacy). 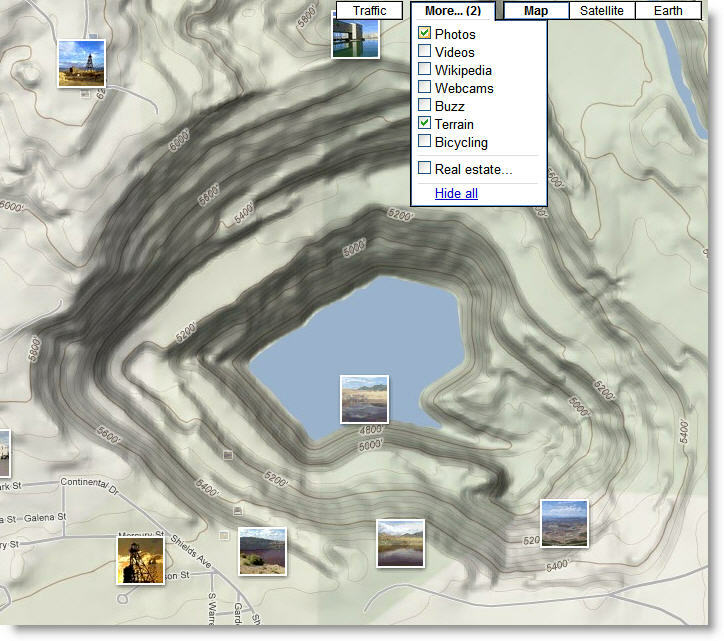 Can you figure out what this largish body of water is that's near Butte, MT? And, for extra credit, how badly polluted is it? As usual, show your work so we can all learn from your search method.